During her career between 1959 and 1992, Evelyn Lear appeared in more than forty operatic roles, appeared with every major opera company in the US and won a Grammy Award in 1966. Lear was well known for her musical versatility, having sung all three main female roles in Der Rosenkavalier. Lear was also known for her work on 20th century pieces by Robert Ward, Martin Levy, Rudolf Kelterborn and Giselher Klebe. She was married to the famous American bass-baritone Thomas Stewart. Lear was born as Evelyn Shulman in Brooklyn, New York and completed her musical education at Hunter College, New York University and the Juilliard School of Music studying voice, piano, French horn and composition. While at Juilliard she studied under Sergius Kagen and met her future husband, baritone Thomas Stewart. Both Lear and Stewart won Fulbright scholarships to study at Hochschule für Musik in Berlin where she studied with Maria Ivogün. Lear started her opera career as a member of the Städtische Oper Berlin in Richard Strauss' Ariadne auf Naxos playing the Composer, a lead role which she would later play at a number of leading opera houses. 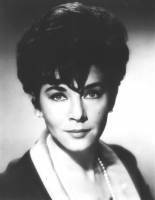 She played the title role in Alban Berg’s Lulu for the Austrian debut in concert form in 1960. She had only three weeks to learn the role, having been called in as a late replacement sick friend. Her performance was so strong that she played the role in the first staged version since World War Two at the Theater an der Wien at the Vienna Festival of 1962 with Karl Böhm conducting. The performance was repeated in 1964. Lear also performed in Lulu while making her stage farewell from opera in the late 1980s, this time in the mezzo-soprano role of Countess Geschwitz. The Senat of West Berlin gave Lear the title of Kammersängerin for her contribution to the opera in that city while the Salzburg Festival honored her with the Max Reinhardt Award. She won a Grammy Award for Best Opera Recording in the Grammy Awards of 1966 for her work with Karl Böhm, Dietrich Fischer-Dieskau, Fritz Wunderlich and the German Opera & Chorus for their performance of Berg's Wozzeck.